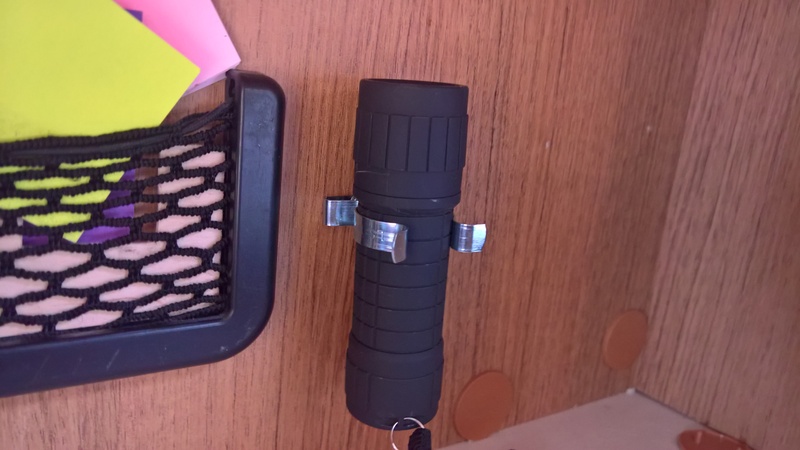 I knew i had a small torch but i could never remember where I’d left it – which draw or compartment. A spring clip for a few pence from the local diy shop solved the problem – with a single screw to fix it in a convenient location. By making a permanent home in the same place i always know where to find it ……. so long as i put it back after I’ve used it!! Well it looks organised.